The Confederate States Air Force was the aerial warfare branch of the former Confederate States of America's armed forces and is considered by modern historians to have been largely pathetic. During its active status between 1861 and 1865, the CSAF had an estimated total of zero kills during the entire American Civil War, an accomplishment the Southern United States is still particularly proud of to this day. During its four years of service, Captain John Randolph Bryan served as the absolute commander of the CSAF. The CSAF had only 12 squadrons of kites and two air units of balloons which served little or no real purpose. The CSAF is also known for its attempts at designing flying machines which failed miserably and cost over 9000 early aviators their lives with no advancements made in human flight. It was disbanded at the end of the Civil War after the Union was victorious. Almost immediately after the South secession, Jefferson Davis felt the need to create an "air force". At this point in time, aerial warfare was widely unpopular. Sure, there had been some ideas that suggested balloons might have some use in warfare, but there had been little advancements made in actual flight. The idea of balloon warfare, even then, seemed ridiculous. Nonetheless, an aspiring hot air balloon pilot by the name of Captain John Randolph Bryan was chosen by Jefferson Davis to be the absolute commander of the newly founded CSAF. The first and only official air base for the CSAF was built in Baxley, Georgia and cost well over 20,000 Confederate dollars (approximately six Union dollars). It consisted of seven landing pads for balloons and several hangars for the storage of kites and designing prototype flying machines. The F-00 Papiervliegtuig in flight right before crashing. In 1862, the CSAF designed the first hot air balloon designed for war, known as the A-55 Tubman. The Tubman could hold over 15 armed and equipped personnel. However, the A-55 proved ineffective due to the extremely low altitude at which it had to fly in order to engage targets on the ground. This made it a very easy target, and therefore was frequently shot down. This was, of course, provided that the A-55s could get off the ground. Many A-55s would burst into flames immediately after take-off and kill all on board. Early blimp designs were coined by the CSAF as well. However, these also had a tendency to burst into flames and were deemed "impossible" by the CSAF and their designs were scrapped in favor of aircraft that exploded in the air less. Another aircraft model from the CSAF was the F-01 Kyte, which got its name from the unclever replacing of the "I" in "kite" with a "Y". The Kyte was essentially a large kite. Only one incident of a kite dogfight was recorded, in which several CSAF Kytes engaged three Union Air Force F-Kights (also kite-model aircraft with unclever nicknames). The air battle was brief, as the personnel manning the kites on the ground got sick of flying their stupid kites and just shot each other. The Confederates lost. Blueprints for one of the CSAF's primitive flying machine prototypes. The F-00 Papiervliegtuig (Dutch for "paper airplane") was another fighter in the CSAF. 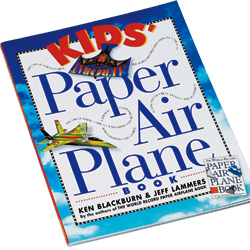 It was, as its name suggests, a large paper airplane. These too sucked because they were both uncontrollable and unarmed. Most crashed on their maiden flights, only to never see the beautiful skies again. The CSAF also invested in designing what would have been the first airplane, or "flying machine". However, a lack of understanding regarding aerial physics, such as "lift" and "drag", led to the loss of many lives. The first prototype flying machine was codenamed "X-2112", and crashed due to the fact that it sucked. 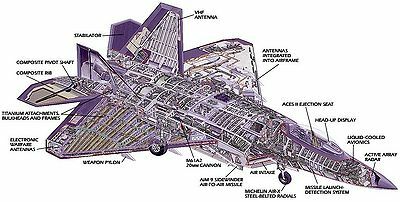 When compared to modern aircraft, it's obvious as to why the X-2112 was a failure. First, it lacked any long-term form of propulsion. The only real thrust it had was the energy used to push it off of a large cliff. From here, the plane would then fall sharply at a 90-degree angle into a vertical drop and nosedive into the ground, achieving half of its terminal velocity, and killing the pilot(s) instantly. Several more trials were done on the prototype and all of the trials saw the same results. The sister model of the X-2112, codenamed the X-2113, was also a failure. This model also had to be pushed off of a large cliff to hopefully achieve flight, but it never did so. It too crashed immediately. One major improvement in the X-2113's design that was lacking in the X-2112's were wings. The CSAF was decommissioned in 1865. The North declared victory on April 9th after Robert E. Lee surrendered. The CSAF, who had still been active up until the end of the war (only because the North didn't consider them a threat throughout the entire war), wasn't decommissioned until three days later. Aircraft design plans recovered by the Union after the decommissioning of the Confederate States Air Force. Due to a delay in communications, Union soldiers led by William Sherman still in Georgia raided the CSAF in Baxley on April 12, 1865. Slaves who were still forced to work in the CSAF were considered combatants in the Confederate military and were slaughtered along with the rest of the soldiers there. John Randolph Bryan surrendered the airbase to Union soldiers only thirty minutes after the raid had begun, but was executed by Union soldiers on the grounds that he was a key figure in the Confederacy and had "supported the gay secession from the awesome United States of America". A total of four Union soldiers were killed in the raid. There were no survivors on the Confederate side. The CSAF, along with their rival, the Union Air Force, are considered to be the oldest and most short-lived air forces (the Union Air Force was also decommissioned immediately after the American Civil War). The CSAF, however, proves to be the least successful air force in human history as well. There has also been historical evidence that the Confederates attempted to create a cute little space program as well which was, needless to say, a waste of efforts and money. Today, there are very few references to the CSAF in modern culture. Like the Maginot Line, the CSAF has become synonymous with "failure." The Maginot Line is probably more popular because "Confederate States Air Force" is very long to both type and say, hence why we used its acronym for the most part of this article. There actually was an "air force" for both sides. It was balloons, used for surveillance. This page was last edited on 10 December 2013, at 02:13.